Digital Photography Tips - Helping You Take Better Photos! 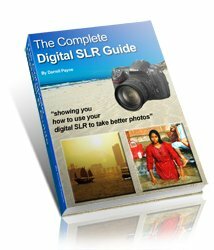 Looking for digital photography tips? Look no further! This site has grown out of decades of photography experience. My aim is to share that experience with others, to help everyone take better photos! Everybody's welcome here, no matter what your level of expertise, and there's no need to understand ISOs or f-stops to pick up these photography tips! You've probably got a cell phone with a camera on it. How to edit those wedding photos? What more will you find on this site?